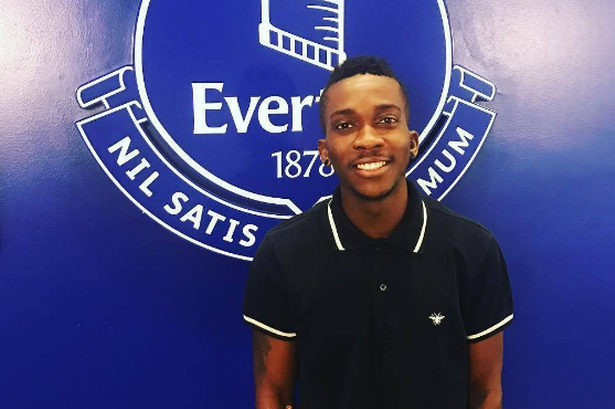 Super Eagles striker, Henry Onyekuru believes he has what it takes to excel at Everton. The former KAS Eupen star who on Tuesday put pen to paper with English Premier League side, Everton in a fee reported to be around £40,000 per week that will last for five years, has joined a growing list of Nigerians who have don the course of the Toffess. Although, he will be going on loan to Anderletch due to work permit, he’s however, optimistic of having a glorious time in England when he eventually joins them. He also confirmed via his instagram that he’s delighted to have joined Everton. The Nigeria striker finished last season as the joint leading scorer in the Belgian Super League with 22 goals in 38 games – 10 of those came in the final 10 games – and attracted the attention of a number of top clubs across Europe as a result.